Färgerna kan sklija sig I verkligheten. Beställ prover för att få persienner i önskad färg. Små børn er blevet kvalt af løkker i træksnore, kæder og bånd, som bruges til betjening af produktet. 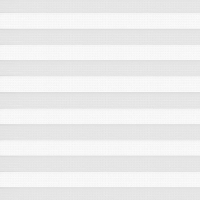 For at undgå strangulering og indvikling i snorene skal disse holdes uden for små børns rækkevidde. Snore kan vikle sig rundt om et barns hals. Flyt senge, barnesenge og møbler væk fra snore til vinduesafskærmninger. Snore må ikke bindes sammen. Sørg for, at snore ikke snos og danner en løkke. För att minska risken för olyckor, använd de säkerhetsanordningar som. VARNING: Please note that you may not be able to reach the control cords. In order to change the lenght of cords please contact us or indicate it in order comment box. Attention: According to EU norm EN13120 The cords in this product may cause a potential strangulation hazard. 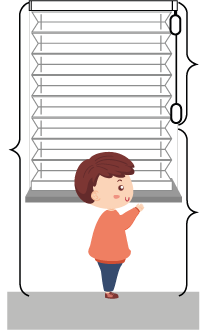 By ticking the box you confirm that the blinds ordered do not need Child Safety measures and that the product will be installed in a window/room where no children have access to. By confirming you liberate us from our responsibility and any possible claims referring to the above. 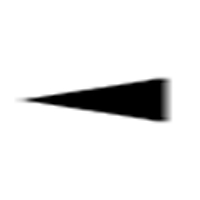 '; var installation = 'Montering (installation) av våra persienner är mycket enkelt.Du får dina persienner upphängda där du vill med hjälp av monteringstillbehör samt instruktion som medföljer i paketet. Vi tror att du lyckas med det själv utan större svårigheter. Kom ihåg att du köper persienner till mycket bra pris och som är mycket lätt att montera. Accurate measuring is the most important step when buying window blinds on the net. It is for this reason that it is also the step that causes the most anxiety. --- RELAX --- if you can read a ruler and you follow the instructions below - you\'ll do alright. 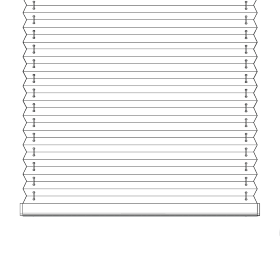 Note: Your blinds are made to the specifications you provide. If you make a mistake here there is no refund or return policy to protect you. 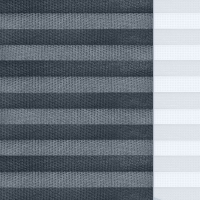 If the blind is made too large it can be cut down for you for a fee. If the blind is too small you will need to order a new blind. So accuracy and precision is a must. 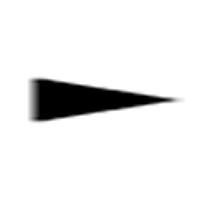 Measure the exact width (left to right) of the window recess in three places (top, middle and bottom). Take the smallest of the three measurements. This is the width of the recess. 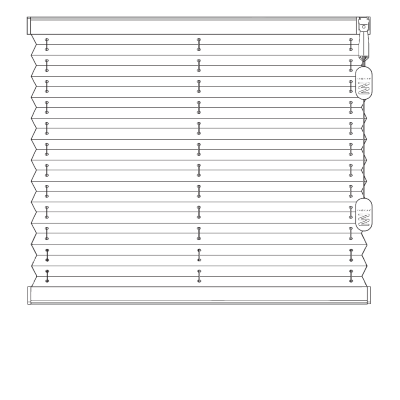 For your blinds width you must make a deduction of suggested minimum of 10 mm off the recess width to allow for smooth blind operation and/or mounting brackets. 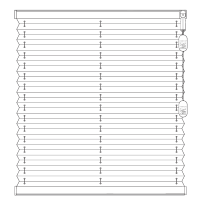 *** (You will get a tiny 5 mm gap on each side of the fitted blind) It is reasonable, safe, practical and sometimes looks better to make a greater deduction [14-20mm per blind - 7-10mm each side] for large 50mm wooden or aluminium blinds and for wooden shades. 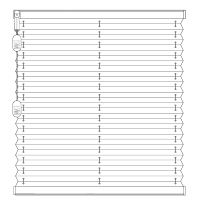 Practical note: the width is always the first size in blinds or shades measurements. Measure the exact height (top to bottom) from the top recess edge down to the window sill in three places. Take the largest of the three measurements. 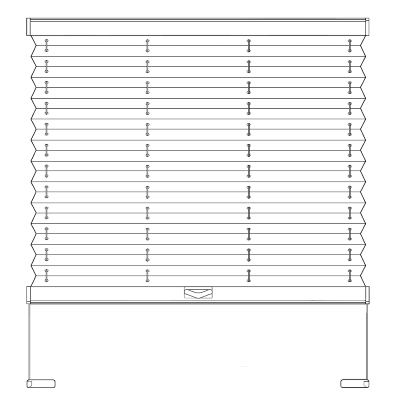 Practical note: the drop is always the second number in blinds or shades measurement. 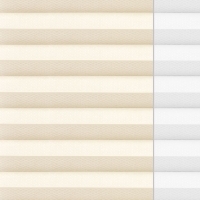 *** it does not apply to vertical blinds - see top of product page. IMPORTANT: YOU MAKE DEDUCTIONS FOR INSIDE MOUNT YOURSELF. 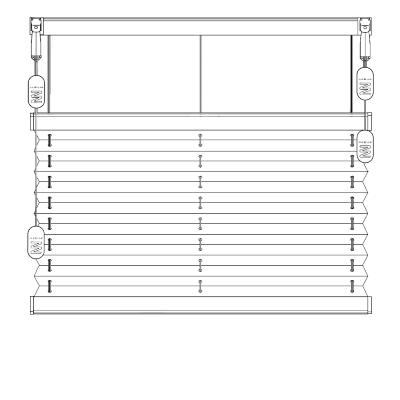 WE WILL NOT MAKE ANY DEDUCTIONS ON ANY INSIDE MOUNT BLIND OR SHADE. 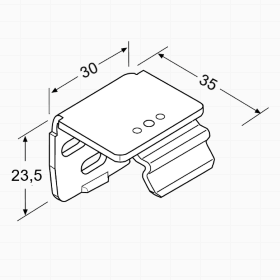 WE MANUFACTURE TO YOUR EXACT MEASUREMENTS! Please, make sure that your window recess is deep enough for inside mounting of the blind type you are ordering. 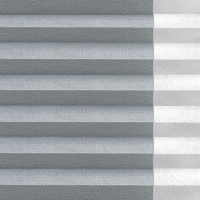 *** as the fabric is always narrower than the blind there is no need to make a similar deduction for roller blinds; it is enough to deduct 2-4mm off the width of the recess to make sure that the roller blind fits well into it. Measure the exact width (left to right) of the window frame or how wide you would like the blind or shade to be. Make sure to measure wide enough as to cover the entire window and provide maximum light gap coverage. 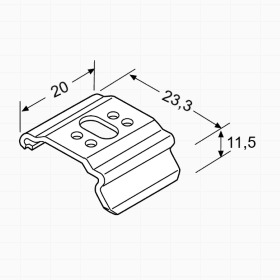 Example: If the window opening is 1250 mm, it might be helpful to order 1350 mm. This will provide 50 mm coverage on each side of the window. 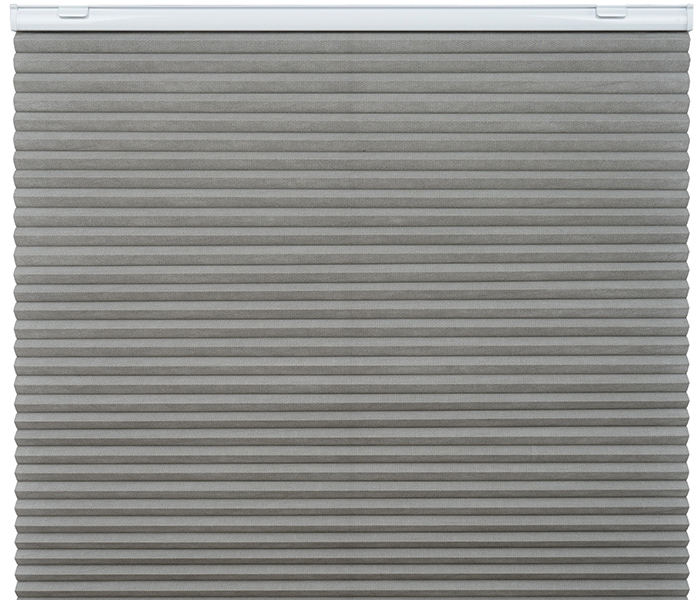 There is no rule on the width of blinds other than to make sure that it is wide enough to cover the opening. 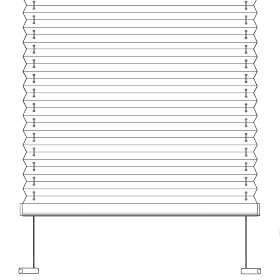 Remember: the width is always the first size in blinds or shades measurement. Measure the height you would like the blind or shade to be by measuring top to bottom. 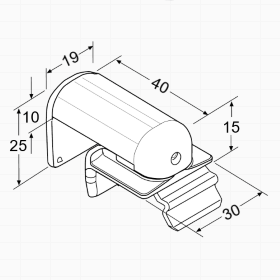 When measuring the height take into account the required space for the mounting bracket, a flat surface of a minimum 70mm is required. This will prevent light leakage at the top as well. We recommend adding to this number a minimum of 50-70 mm for the bottom to insure maximum light coverage and to cover the window completely. 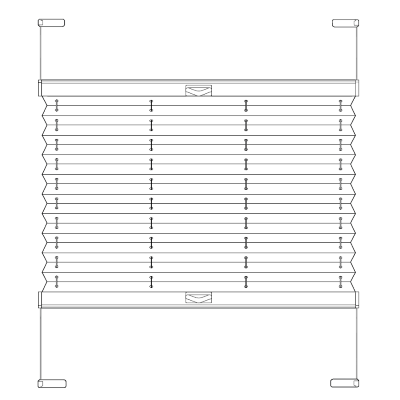 The overlap at the bottom of the blind is only limited by the floor but please take into account obstacles such as radiators. Please make a note that some windows have trim that might interfere with mounting so it\'s important to measure above the trim if this is the case. 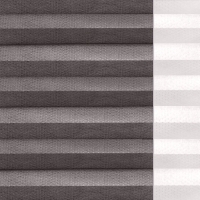 IMPORTANT: THE FACTORY WILL MAKE NO DEDUCTIONS ON OUTSIDE MOUNT BLINDS OR SHADES. 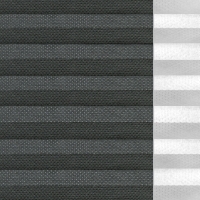 IMPORTANT CONCLUSION: Irrespectively of the option chosen for your blinds - OUTSIDE or INSIDE - the blinds supplied by ClickforBlinds.com ARE MANUFACTURED TO THE EXACT MEASUREMENTS SUPPLIED IN YOUR ORDER.